Stress. It’s an inevitable part of life. No matter what you do, you’re going to be affected by stress in some way. This stress can come from having too much on your plate; or from financial burdens. Or this stress may be perceived, meaning it comes from thoughts; maybe you’re a “what if” kind of person that spends a lot of time worrying about things that haven’t even happened (and probably won’t happen). Either way, regardless of where the stress comes from, it can wreak havoc on your body. 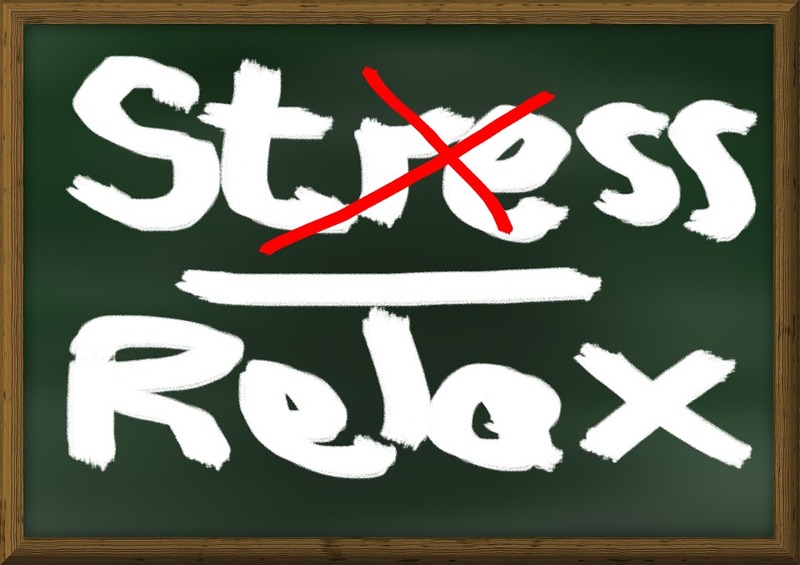 In a previous blog post, we discussed stress and how it affects your hormones. When you’re stressed, your body increases its production of cortisol, a hormone that regulates blood sugar levels, metabolism, immune function, blood pressure, and your nervous system, just to name a few. The production and release of cortisol is important in keeping your body running as it should, but when the production gets of hand, such as in times of prolonged stress, cortisol goes from helpful to harmful. When you have high cortisol levels for long periods of time, it can disrupt your thyroid and your blood sugar, contribute to brittle bones, and increase your blood pressure. It can also make it harder to think clearly, disrupt your sleep, and make it easier for you to get sick. High cortisol levels also promote the storage of fat, so it not only makes it easier to gain weight, but it makes it harder to lose weight too – especially around your midsection. You may not be able to completely eliminate stress from your life (spoiler alert: this would actually be impossible), but you can take steps to reduce the effect that that stress has on your body. We’ve outlined some tips before, like meditation, yoga, exercise, and incorporating more fun into your life, but we also have a little bit of a secret weapon for you: Cortisol Manager. 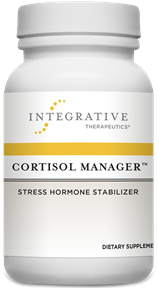 Cortisol Manager is a supplement produced by a company called Integrative Therapeutics, Inc. It contains a variety of natural substances, like ashwaganda, magnolia, and L-thesanine, which not only reduce your perception of stress, but also help lower cortisol directly. Cortisol Manager can also help improve the symptoms of stress, boosting your immune function, allowing you to fall asleep faster and stay asleep, and improve the function of your nervous system. Most people who take Cortisol Manager experience absolutely no negative side effects. If you’re one of the people who is bombarded by stress on a daily basis – and really, who isn’t? – you may want to try adding Cortisol Manager into your stress reduction routine.